Home » Video Marketing » How To Use YouTube Community To Build Business Leads? YouTube is the reigning king when it comes to video content. Its reach is second only to Facebook, making it a very useful tool to spread your brand to an incredibly large and diverse audience. Professional platforms such as LinkedIn have clear-cut functions for businesses, but the lines are blurred and the roles unclear for social media platforms such as YouTube and Facebook. How does one leverage the potentially enormous audience to grow your business? In this article, we aim to answer precisely that question. Your content must stand out to draw attention and generate business leads. Three rules of thumb that are generally a good starting point in this endeavor are to educate viewers, answer questions and provide calls to action (CTA). SEO is another strong optimization tool. When you include keywords relevant to your industry in your video titles and descriptions, they will be easy to find when users are searching for related topics. 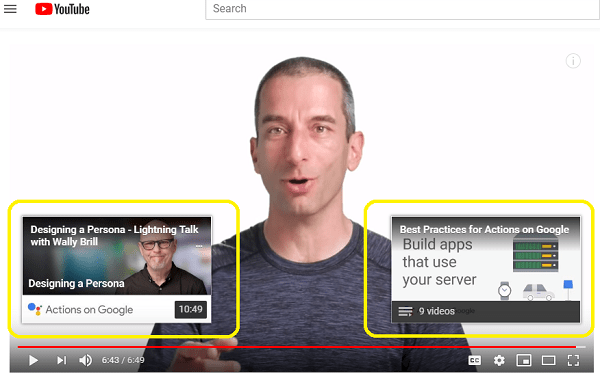 YouTube has become a search engine in its own right, but outside of this platform, search engines like Google and Bing will also index your videos, making them searchable outside of YouTube. If this is done effectively, your content is likely to appear multiple times in a single search. YouTube’s algorithm is programmed to suggest related content and play these videos back-to-back. With the proper optimization, your content will appear in the “up next” suggestions too, broadening your reach and potential audience. YouTube cards are interactive icons (cards) that can be added to a video. Usually, people add these towards the end of the video, but a total of five cards per video can be added at any point during the video, encouraging viewers to visit the pages that you suggest that have related content. These cards can redirect viewers to polls, specific landing pages, or donation sites for US-base charities. When used correctly, YouTube cards function as added “call to action” buttons, encouraging users to interact with your content and potentially converting those interactions into business leads and an increased bottom line. Content cards are similar to YouTube cards, but these appear as an icon that is displayed for the full length of the video. Once clicked, this will unfold to display links to related content from the same channel. When used effectively, this will encourage viewers to watch more of your videos, again leading to potential business leads. Landing pages can be promoted by using end screens. This mobile-friendly feature displays a specific screen at the end of your video. End screens include calls to action, encouraging viewers to visit other videos on your channel or related web pages. Other possible features to include, is a link to your landing page, an option to subscribe to your channel or newsletter or any other social media promotion. Verbal cues can also encourage viewers to interact with your content or visit your related pages. This is a beneficial opportunity to deliver a powerful message, promoting your brand and encouraging user interaction, which will generate business leads if used effectively. 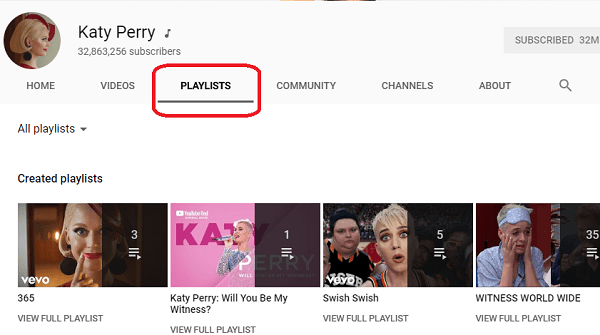 YouTube offers the option to add videos to playlists. These playlists are searchable and are a great tool to group all your content in one accessible location. When watching a video, YouTube users will see a link to the playlist that the particular video is a part of, potentially generating interest in your related content. Encouraging viewers to comment on your videos create hype and could add to the impact your brand has on the market. Responding to these comments is also a useful way in which to encourage and foster interaction with viewers. When viewers see that you are an active participant and that you care about the subject matter and people watching your content, your brand identity gets underpinned, often leading to a stronger support base. Responding to comments could be an effective way to answer questions and to gather information on which new content your users would like to view. Again, this could lead to business lead generation, increasing your bottom line and strengthening your brand. As a bonus, you can pin extra information at the top of the comments section, encouraging users to visit related pages or view related content. In this new digital era, we have seen the rise of influencers. These individuals are experts in their field and have large sway over or influence in that specific niche of the market. Their opinions carry weight. By partnering with influencers, you would be able to advertise your brand widely, reaching an audience that would otherwise possibly never have been exposed to your brand. Strategic partnerships with influencers can cast your brand in a positive light, underpinning your brand identity and possibly generating strong business leads. If your video is shared across all your channels and platforms and on all of your websites, its searchability and visibility would be vastly increased. Added to this, it is useful to encourage your viewers to share your videos as well. When users share your videos, encourage them to tag your channels and brands as well as all affiliate brands, or whichever brands are endorsed in the video. This can be done in the manner of competition or simply as a way to encourage customer loyalty. The wider your content is shared, the wider your viewer base is, and the more likely you are to generate multiple businesses leads from that video. The logic behind using advertisements on YouTube is the same as advertisements anywhere: increase your reach and ensure that people remember your brand, no matter what. Ads on YouTube are shown before a video starts. Some have the option to skip to the video before that add is played in full, while others will be played in full before the video starts. Sometimes, these advertisements will also appear in the middle of a longer video, increasing the likelihood that users will watch your ad. When a user searches for content on YouTube, as add will appear right below the search bar. This is a great tool to garner interest and draw the eye. Ads also appear in the sidebar, at the top of suggestions on related content. You can tailor your ads to a specific demographic, ensuring that they appear when related content is being searched for. Ads from YouTube are even shown outside of the platform, on sites that utilize the Google Display Network, further broadening your reach and potential customer base. As time progresses and the importance of advertisements on YouTube is constantly increasing, businesses are searching for innovative new ways to utilize advertisements on this platform. Effective advertising could aid in growing your email list. Calls to action, encouraging users to sign up to your mailing list, is an effective way to generate business leads. When ads are specifically built around lead generators, the efficacy of the marketing campaign increases, since users feel the need to “act” instead of simply scrolling to the next video. 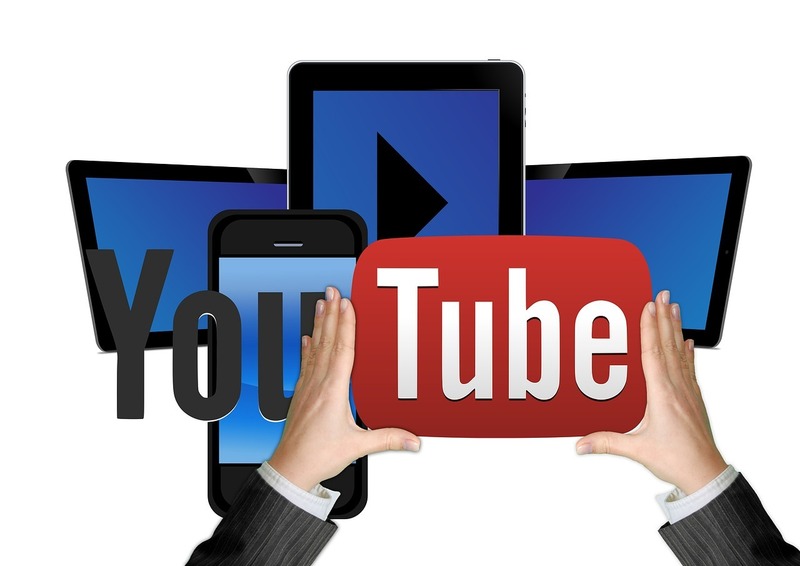 YouTube users can promote videos that are already shared on their channels. The platform has a page dedicated to launching campaigns. 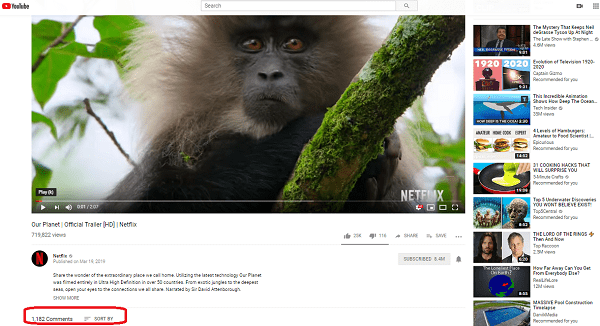 When sharing a link to your video on this page, your video will play as an advertisement on YouTube. This is a highly effective tool, which was discussed in the “Advertisement” section. When promoting a video on YouTube, you have to option of adding a description. Used effectively, this field could be used for search engine optimization (SEO), increasing the searchability of your content and further broadening your reach. In this field, it is useful to be as direct and descriptive as possible. Users on YouTube prefer video content over text; thus the text must be short, to the point and compelling in order to garner interest. Choosing a thumbnail for a promoted video is crucial. This thumbnail is what viewers will see first. It should accurately represent your brand and pique the interest of viewers, leading them to click on your video. In any industry, functioning in any time zone, there is an optimum time to share posts and launch advertisements. This optimum “sweet spot” varies greatly between industries and time zones, but its importance is well known and studied. It is imperative that content is shared at the right time to gather the most attention and generate the maximum amount of business leads. To this end, marketing automation can be used, ensuring that your calendar and social media schedule are perfectly matched and optimized. The business potential of YouTube and its ability to generate business leads is only in its infancy. As time progresses, this potential is being explored and tapped in an ever-escalating and increasingly efficient manner. The potential of the YouTube community to generate useful and critical business leads should not be underestimated. YouTube is the only platform where the YouTubers can easily engage the audience by creating audience intend video content. Most of the businesses are using YouTube to build their brand reputation at a glance.